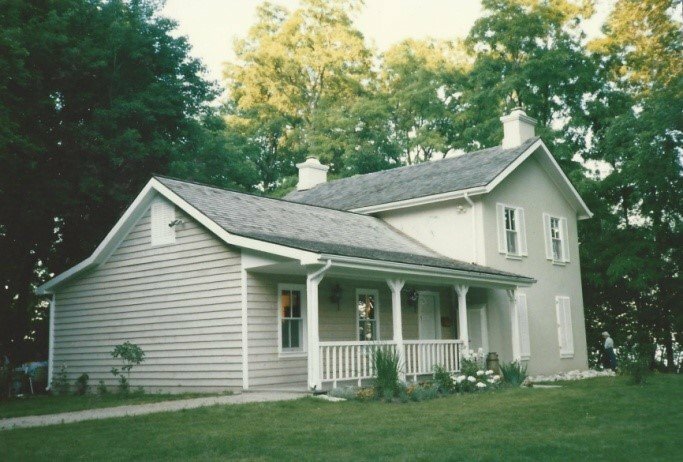 In 1995, the Bronte Horticultural Society agreed to "maintain a small period garden at Sovereign House (a heritage display centre run by the Bronte Historical Society) located at 7 West River Street, at the Bluffs." The first step, of course, was to prepare the grounds. This involved levelling the area and laying sod. 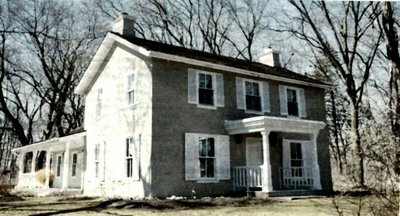 At left and below are photographs taken in June 1995. The Royal Botanical Gardens was interested in being involved in the garden and arranged for Humber College horticultural students to complete the heavy landscaping. In 1999, trailing roses were planted along the fence along West River Street. 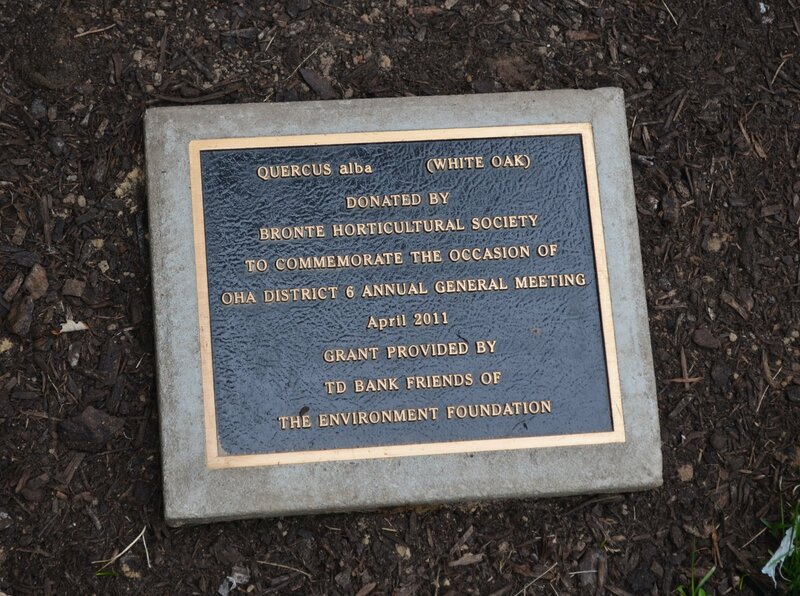 Sovereign House was, and continues to be, Bronte Horticultural Society's main planting project. As nearby trees grew and created more shade, the roses no longer thrived and were gradually removed and replaced with perennials donated and planted by members. Beds were expanded and new beds added. 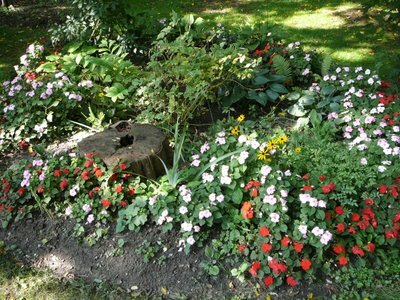 Bronte Horticultural Society continues to be responsible for planting and maintenance of the beds and spring and fall clean-ups. 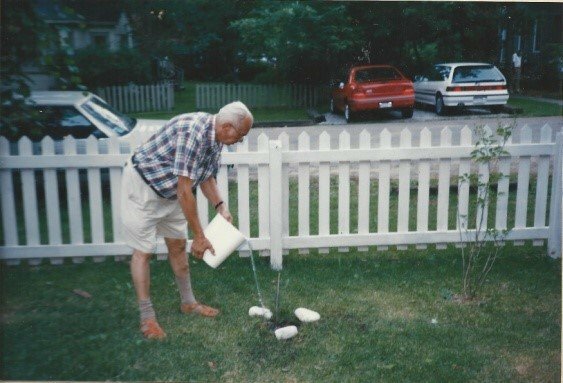 At the Ontario Horticultural Association Convention, held in Thunder Bay in July 1997, each society representative was given a Canadian White Pine seedling. Our representative, Ilse Csefko, brought her seedling back and planted it at Sovereign House where it still thrives. 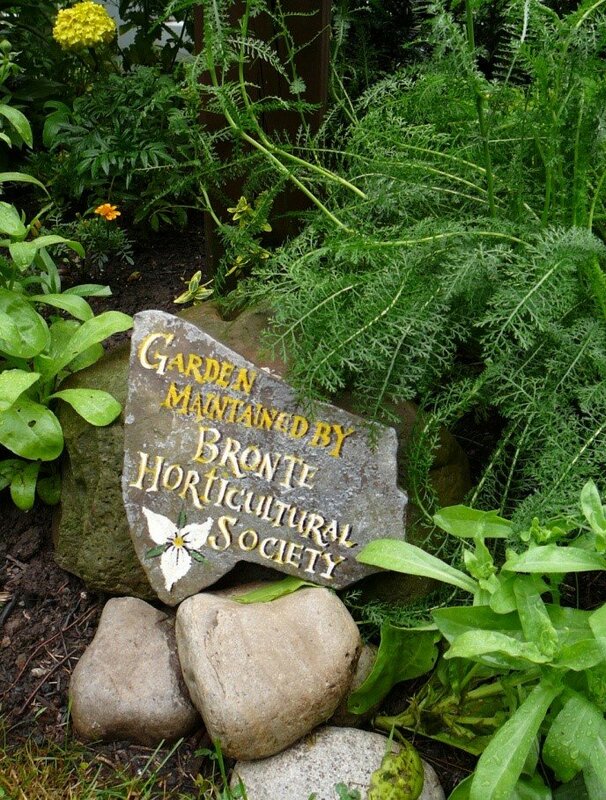 In 2011, Bronte Horticultural Society hosted the District 6 Annual General Meeting. 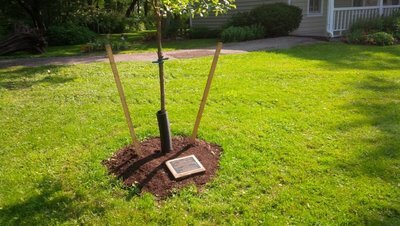 To commemorate this, on July 13, 2011, a White Oak was planted at Sovereign House. 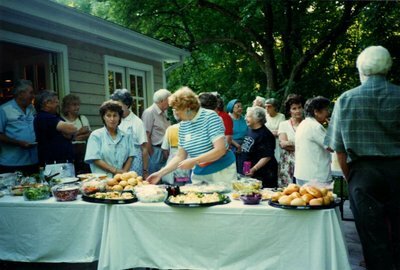 During the 1990s, the Bronte Horticultural Society began holding end-of-the-year potluck picnics. At first, these were held at the home of a member. 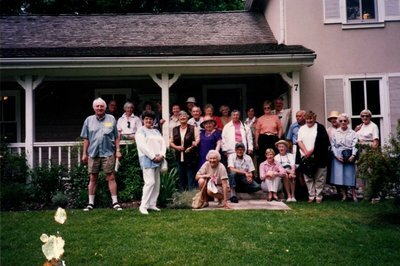 Once the gardens were well-established, Bronte Horticultural Society began using Sovereign House so that members could appreciate their fine work. At the left is the handicraft of local artist and member of the Bronte Historical Society, Carol Sanders, who wanted to show her appreciation for our efforts. For many years, this stone marker was the only indication the public had of who maintained the gardens. At right is an area that was once an unsightly weed patch. All of the weeds were removed by hand, the soil ameliorated and perennials planted. Annuals are planted each spring to add some colour.